Three more European buses: a Spanish and we could say two Germans, because the Heuliez is the copy of a Mercedes-Benz one. 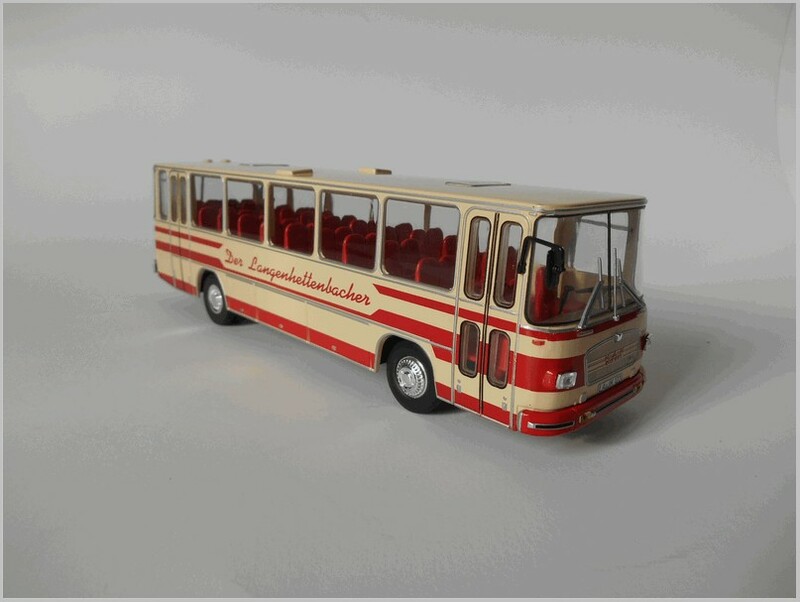 All of them are from the Italian Hachette partwork “Autobus dal mondo”, a collection of sixty 1:43 scale bus models, very similar to the French one “Autobus et autocars du monde”, produced in Bangladesh for Ixo. No. 43 (no. 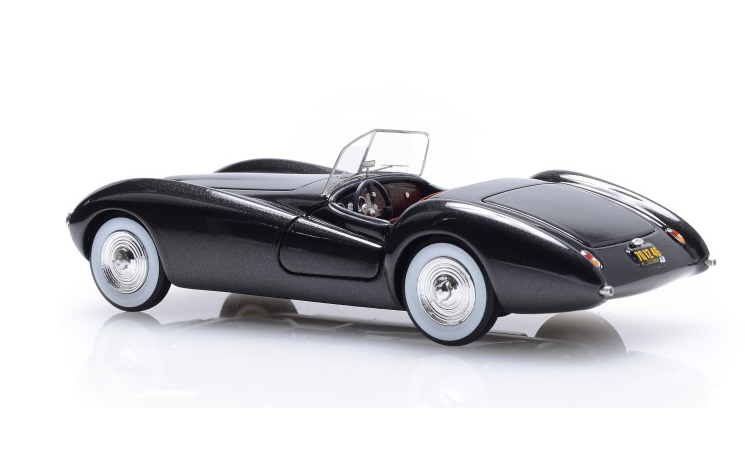 70 in the French collection) MAN 535 HO 1969 – The origins of MAN can be traced back to the XVIII century when the “St. Antony” iron works started operation in Oberhausen, in the Ruhr region. After many mergers and countless name changes, in 1898 the Maschinenbau-AG Nürnberg and Maschinenfabrik Augsburg AG merged to form a company that in 1908 was renamed Maschinenfabrik Augsburg Nürnberg AG (MAN). Besides ore mining and iron production in the Ruhr region, mechanical engineering (mainly railway and steel based building) became the dominating branch of business in Augsburg and Nuremberg, with spectacular works like the Wuppertal monorail and the first steel bridges. 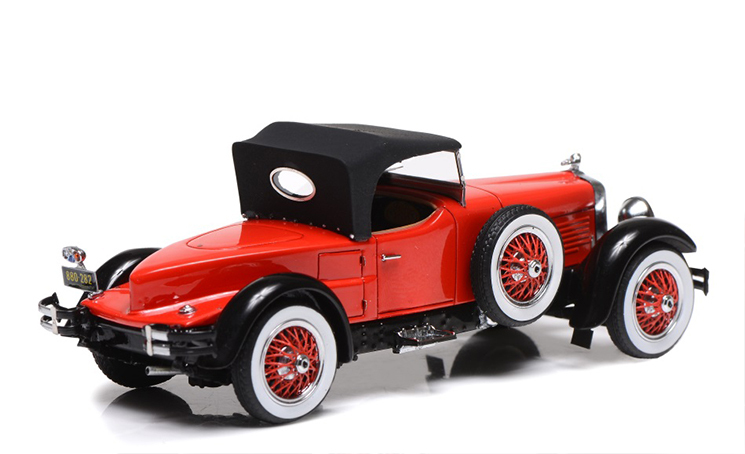 In 1915 they started to assemble Saurer trucks and after a few years their own truck chassis. Together with Rudolf Diesel and the Bosch company, MAN developed and perfected the high-speed compression-ignition engine, powering heavy trucks and buses. During the Second World War MAN supplied diesel engines for submarines and tanks, projectiles and artillery of every kind, becoming the target of massive Allied bombing attacks. After the end of the war the allies split up the group, separating mining, iron and steel production from engineering, plant construction, commercial vehicles and printing machines. 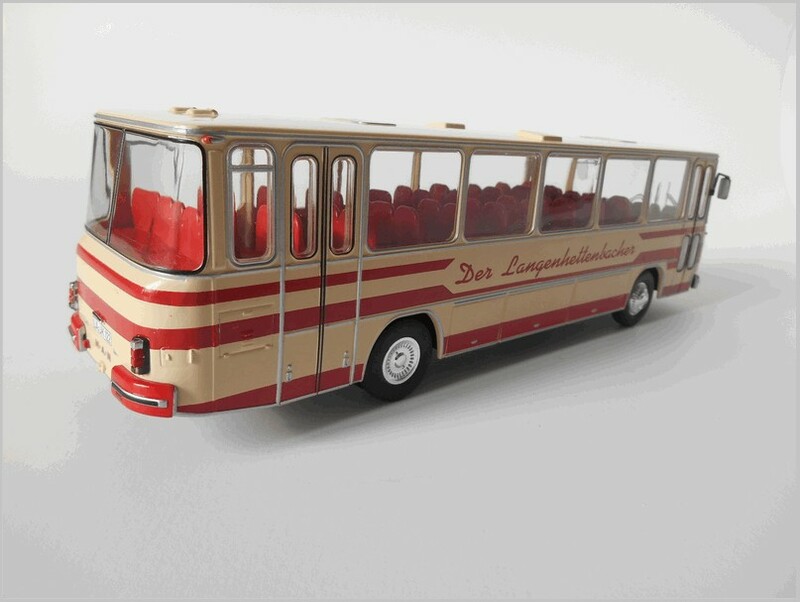 In 1952 MAN presented its first bus with a rear engine and self-supporting body structure, the MKH2, soon followed by the urban Metrobus and its articulated derivatives. 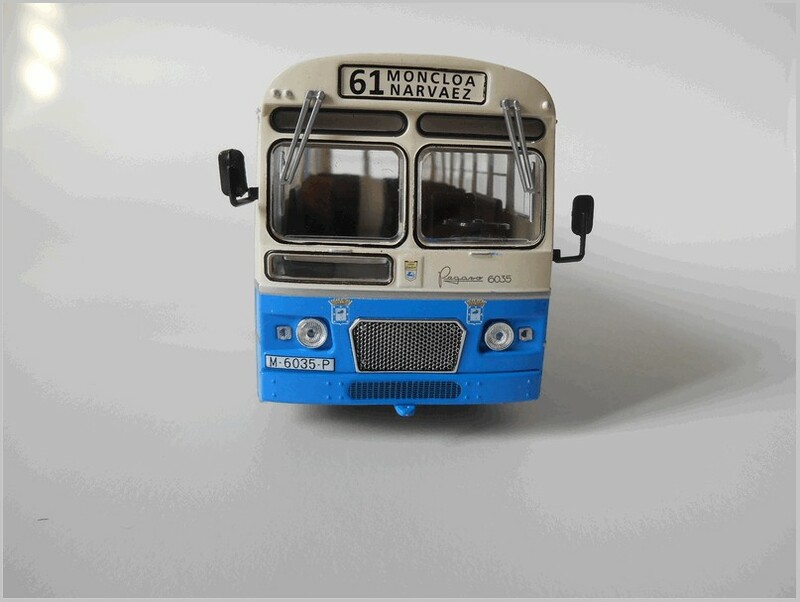 The 535 HO (for heckmotor, rear engine) was introduced in 1963, intended both as suburban and tourism bus, in competition with the Mercedes O321 and the Bussing Konsul-10. It was a limited success. Produced with a length of 9.3 or 10.3 metres, it had a very high flat floor, large windows and a six cylinder diesel engine with 135 or 160 CV. Its first version had a curved roof, sometimes with additional windows in the roof. 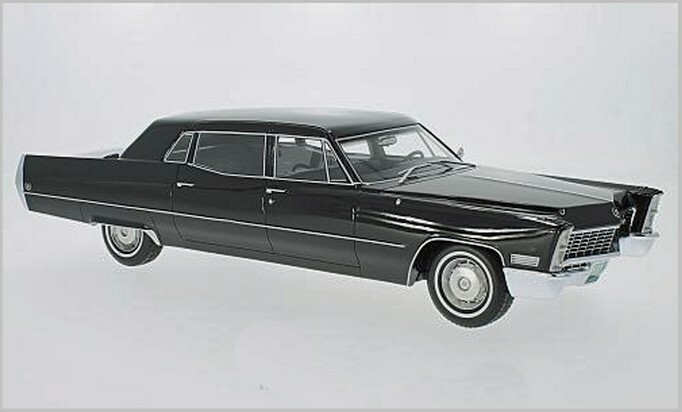 In 1969 the roof was flattened, with higher side windows and squared headlamps. 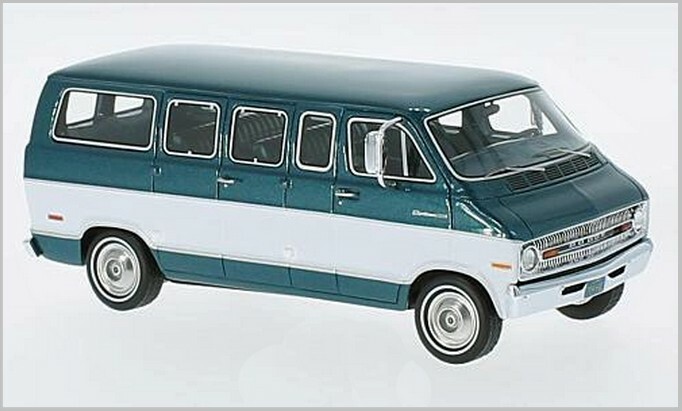 But the MAN history is very complex, for example from 1967 until 1977 MAN collaborated with France’s Saviem, badging their light to medium duty trucks as MAN, and after that a deal was signed with Volkswagen which lasted until 1993. Meanwhile in 1971 there was the take-over of the truck and bus division of the commercial vehicles manufacturer Büssing (the logo on the front of all MAN trucks and buses shows a lion, from the coat of arms of the old Duchy of Brunswick, headquarters of Büssing), but at the beginning of the 1980s there was a dramatic downturn of commercial vehicle sales caused by the oil crisis and the economic crisis. There were agreements with the Chinese company Sinotruk and later agreements and acquisitions of the Indian company Force Motors and the Brazilian Volkswagen truck and bus operation. In 2001 MAN Nutzfahrzeuge AG acquired Neoplan Bus GmbH, creating Neoman Bus GmbH. Then, in July 2011, Volkswagen AG acquired the majority of the share capital in MAN, planning to merge MAN and Scania to create Europe’s largest truckmaker. 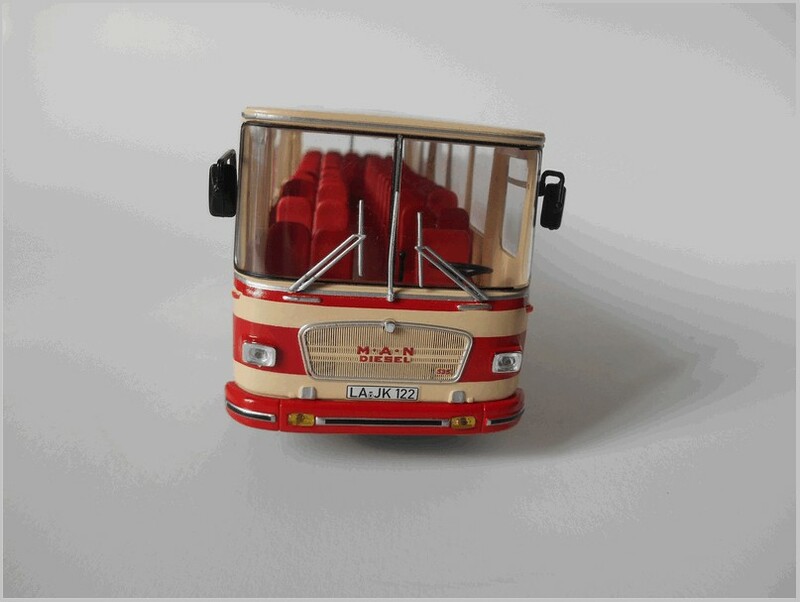 The scale model is based on one of the preserved buses, with the usual combination of a plastic body and a metal baseplate. 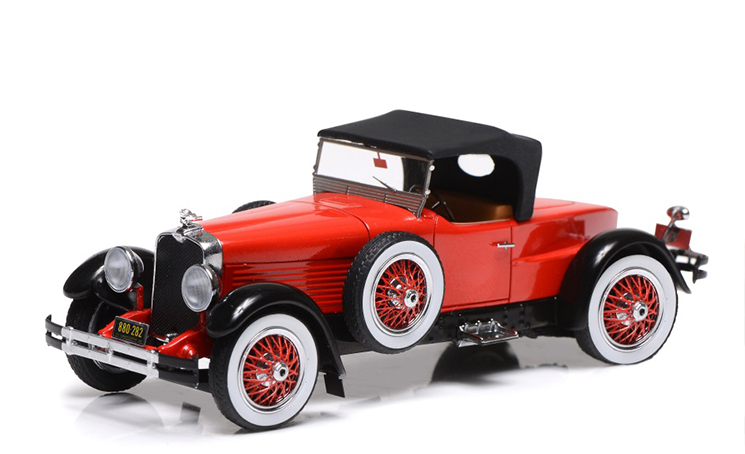 It is well detailed with a bright livery in cream and red. The registration plate is from Landshut, a town in Bavaria in the south-east of Germany, situated on the banks of the river Isar. 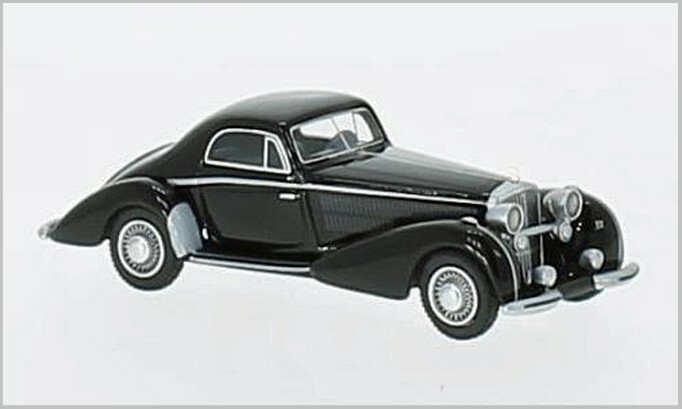 The angular shape of the MAN is well reproduced, with the large windows well modelled and many small separate plastic parts, like lights, bumpers, mirrors and wipers. 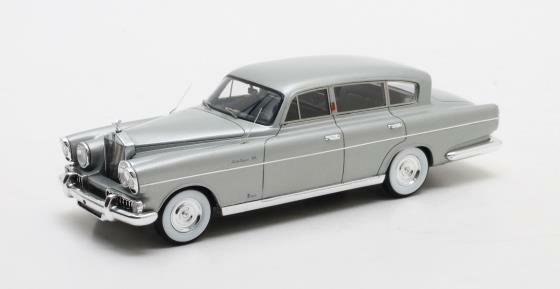 A very nice front grille is fitted, only ornamental due to the rear engine, and good seats and nice chromed hubcaps. A minor fault is the missing steps at the front door, the transparent doors show a void in their place. There are no apparent differences to the French edition. 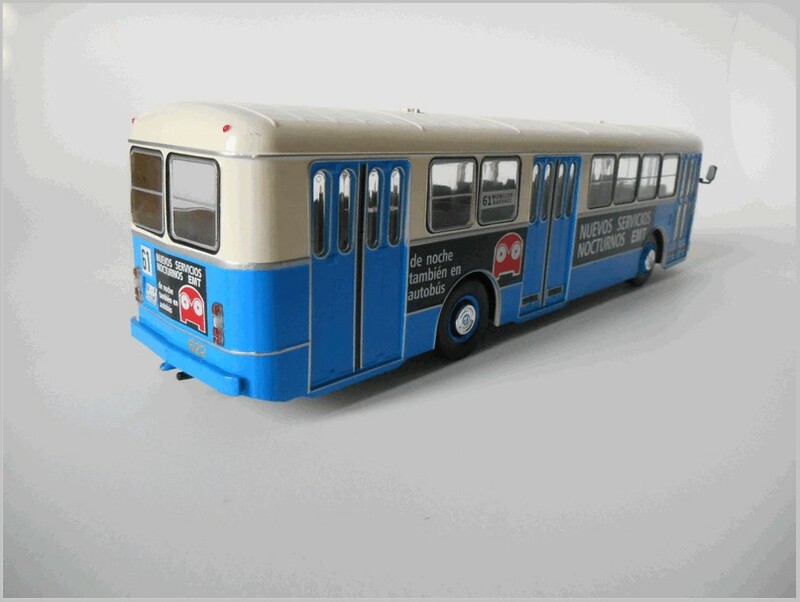 A nice model of a tourist bus typical of the 1960s. No. 44 (no. 59 in the French collection) Pegaso 6035 EMT 1972 – We have already seen the Pegaso history and its Z-403 Monoscocca (see part 3, no. 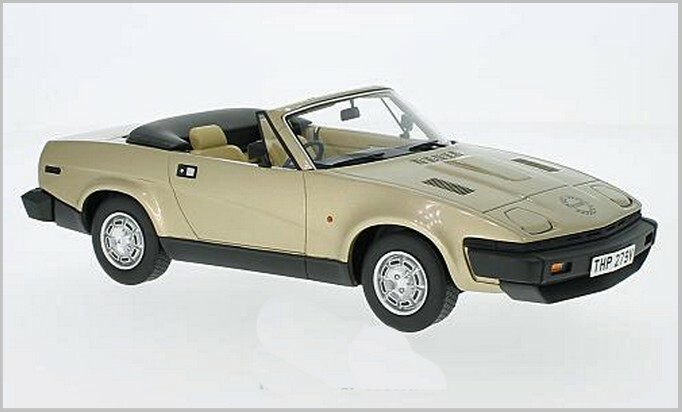 8) and how its parent company, ENASA (Empresa Nacional de Autocamiones S.A.), was took over by IVECO in 1990, and the Pegaso name disappeared in 1994 after building more than 350,000 vehicles. 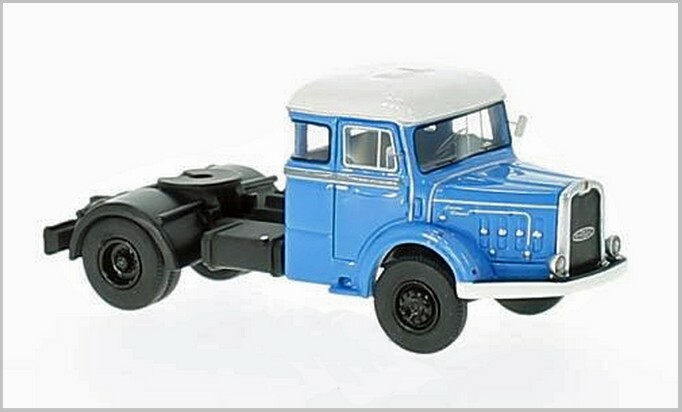 Its first trucks were slightly modified petrol engined Hispano-Suiza 66G, soon followed in 1949 by diesel models (Z-202), also available as articulated tractors, road train and coach or bus (Z-401). In the 1960s and 1970s, the impressive economic development of Spain allowed Pegaso trucks and buses to cross borders and link the Spanish economy with the European Economic Community. In 1961 Pegaso started with the “6000 range” the production of the “Monotral” buses and coaches, based on an Italian Viberti patent, a chassisless design with an underfloor horizontal engine, a very light yet full-length vehicle. These vehicles adopted the same design of the self-supporting structure used for the Z-403 “monoscocca“. Within the 6000 range, the models 6035 and 6038 were notable for the large number of units built,with the 6424 being the range’s latest development before the absorption of ENASA by Iveco, produced from 1989. The first prototype of Pegaso 6035 was designed by the coachbuilder Jorsa and was tested on the streets of Barcelona at the beginning of 1965, it was a sturdy, spacious and aesthetically very nice bus. 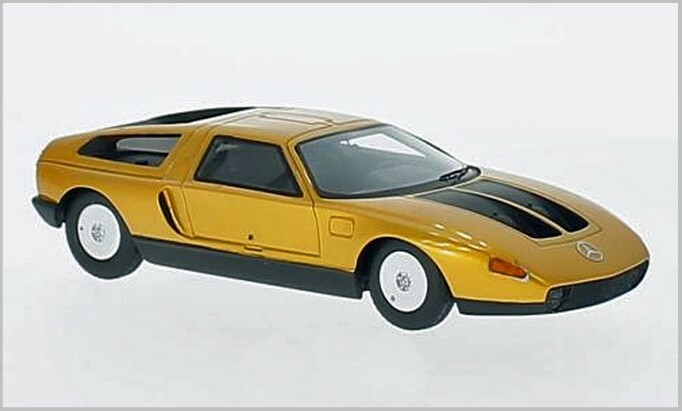 Equipped with an horizontal six online diesel Pegaso 9101 engine of 170 CV, mated to a hydraulic clutch, and a semi-automatic gear shift (Wilson). It had servo assisted steering and mixed suspension. 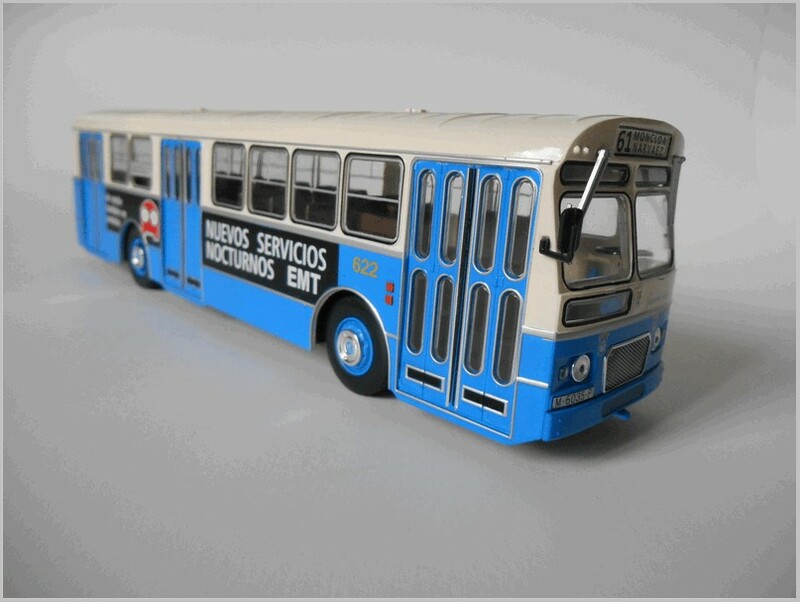 It was one of the most popular urban buses in Spain during the 1970s and 1980s : Barcelona, Burgos, Madrid, Palma de Mallorca, San Sebastián, Santander, Sevilla and Valencia were some of the cities that chose this bus, which remained in service for more than 20 years. The EMT fleet of Madrid bought 415 units, all with three doors, with access by the rear, except the last five that had only two doors, when the role of bus conductor was dropped. It was the last bus to sport the Madrid blue livery before, in 1974, the city council decided to change the colour of the fleet to red. Production of the 6035 stopped in 1979, but during all its life it was constantly updated. 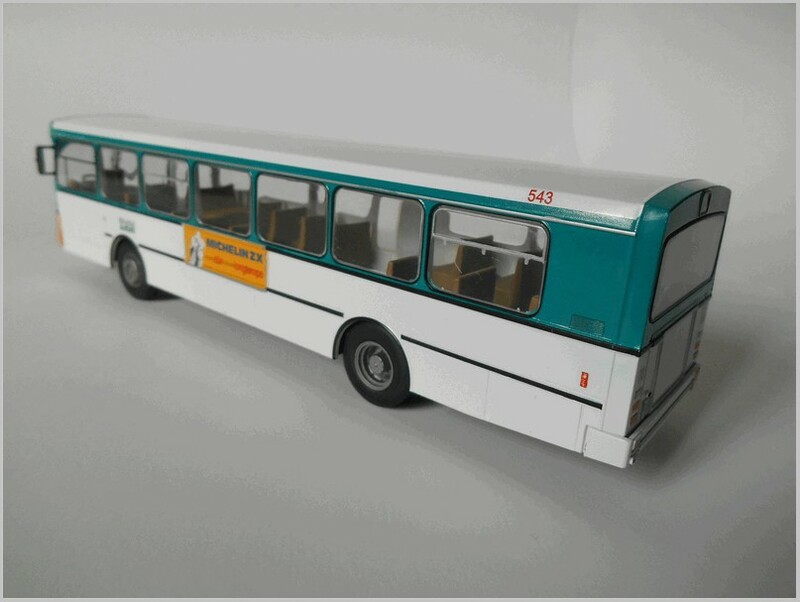 To meet the need for a larger capacity bus it was presented an articulated version, the 6035A, with a length of 18 metres. This was another success with more than 100 units in Barcelona bodied by Hugas and more than 500 in Madrid, bodied by Noge. 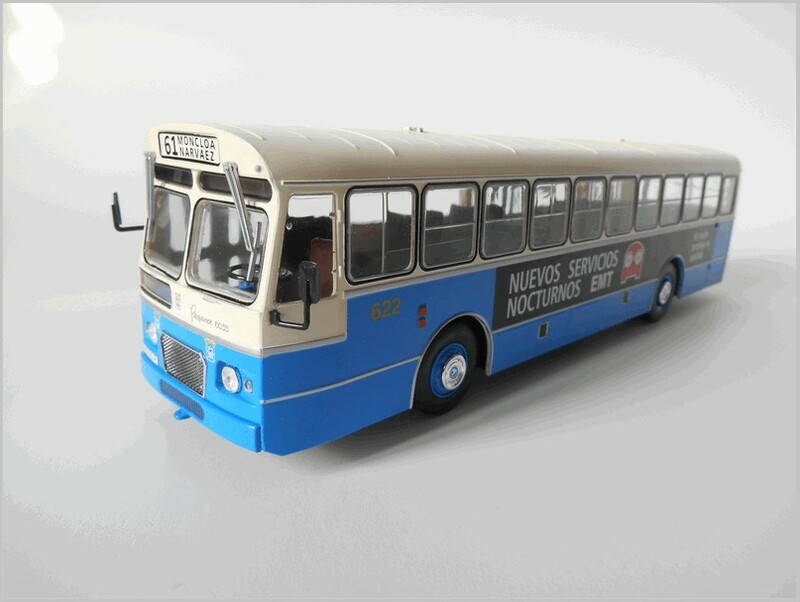 This model is also based on one of the preserved buses, with the blue and ivory livery typical of Madrid painted on the plastic body which is attached to a metal base plate, with the exhaust picked out in silver. 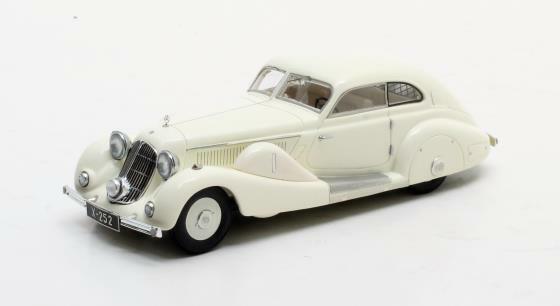 There is a very detailed front with the Madrid insignia and the joint emblem Jorsa/Pegaso, as well as the model name. 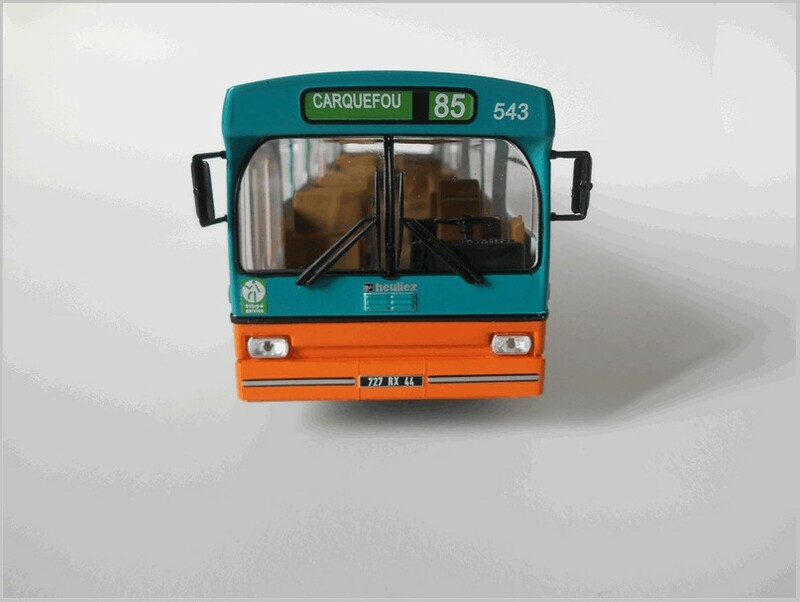 The line number is 61, from the Moncloa bus station, serving the northwest of the Madrid region, to Calle de Narvàez, near the University Pediatric Hospital in front of the El Retiro park. On the sides and at the back there adverts for the EMT night service. Well reproduced folding doors, windows and driver’s cab feature. More basic are the seats and interior. There is a lovely “Pegasus” logo on the chromed hubcaps. 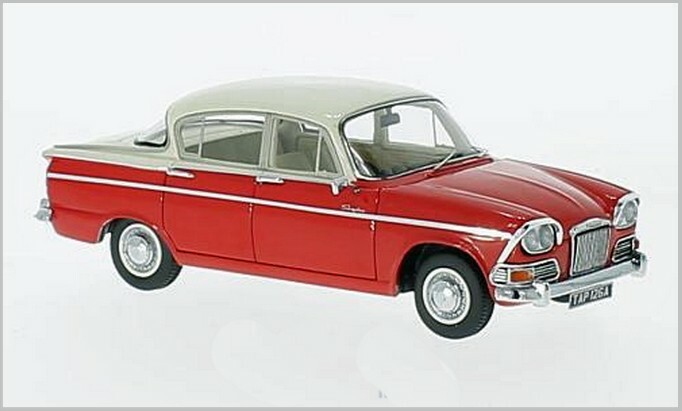 Many small separate parts are fitted like the wipers, rearview mirrors, lights, and bumpers. There is no apparent difference to the French edition. 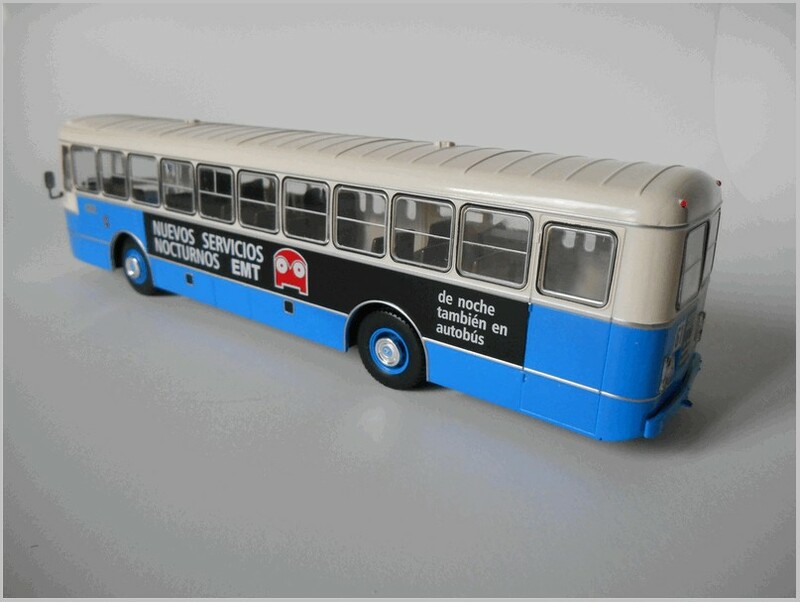 A nice reproduction of an emblematic Spanish bus. No. 45 (no. 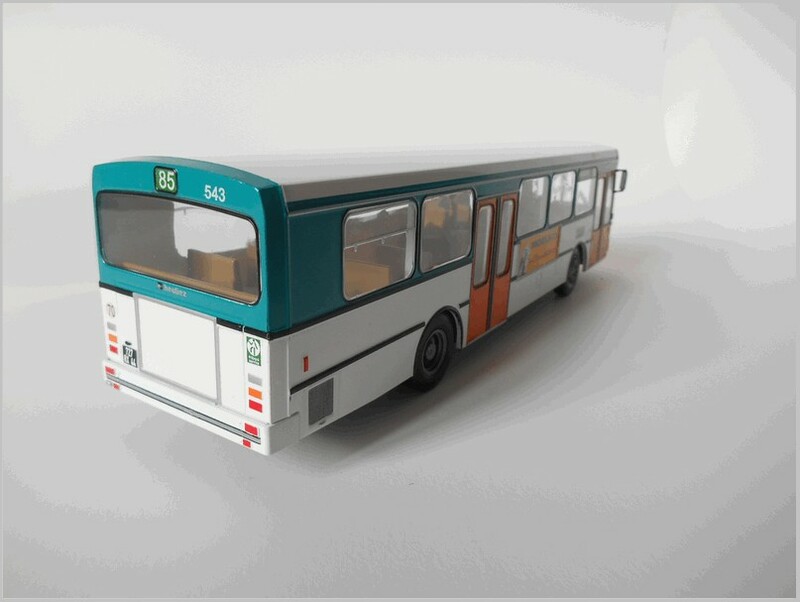 71 in the French collection) Heuliez O305 HLZ 1969 – The “French edition” of a famous German bus (more than 16,000 copies from 1969 to 1987) the Mercedes-Benz O305, the product of standardisation requested by the VoV (Verband Offentlicher Verkehrsbetriebe), the Association of German Public Transport. 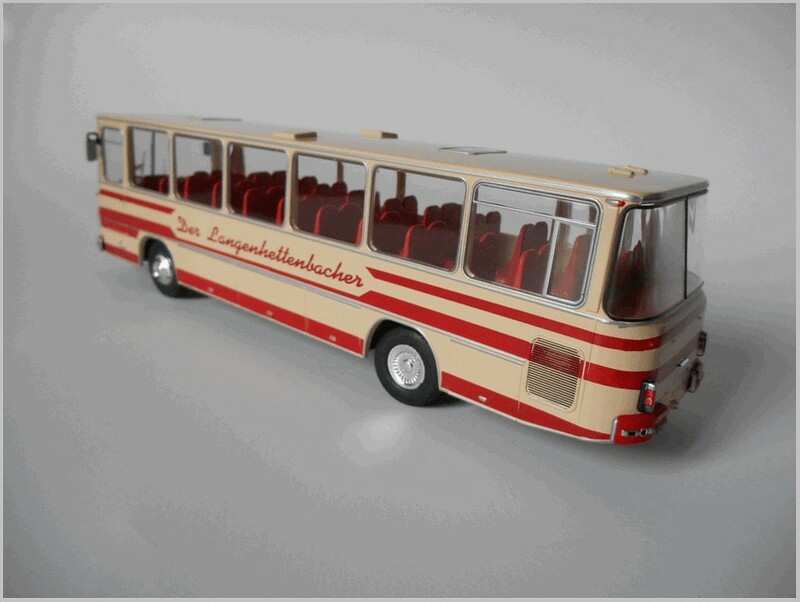 Similar buses were also produced by Büssing, Gräf/Steyr, Ikarus, Magirus-Deutz and MAN. 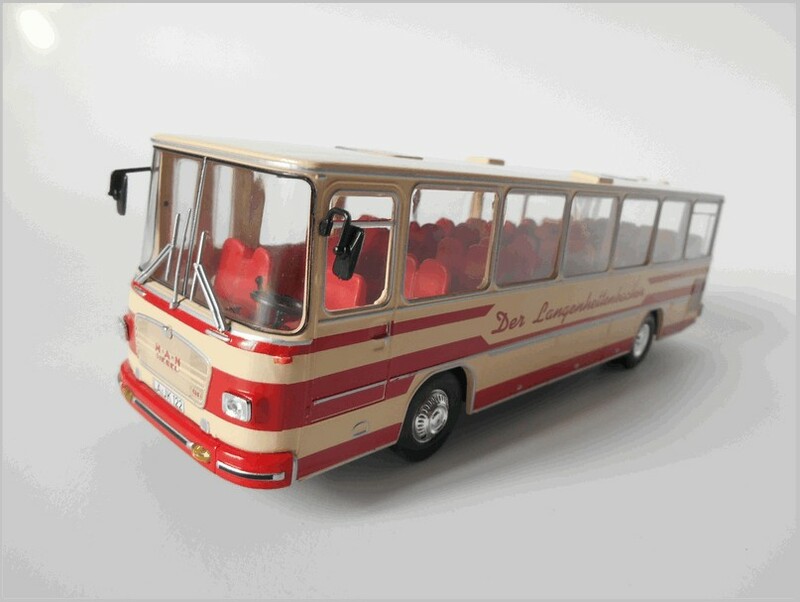 Designed for use as a single-decker bus, it was later redesigned to accommodate double-decker bodies, and it was built as either a complete bus or a bus chassis. The engine was a horizontal six in-line diesel producing 210 CV, positioned at the rear of the bus. This was very reliable and almost noiseless. The body had a high floor, needing two steps, and a square shape with large windows. 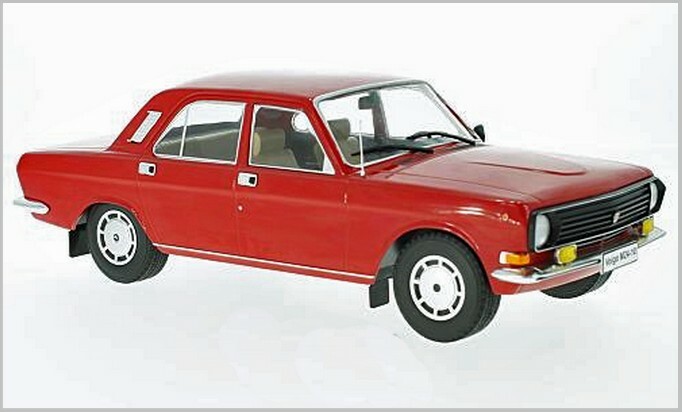 The Heuliez version had squared headlamps, a higher roof, different bumpers and lacked the small windows at the rear corners. Its origins came from a strong French nationalistic spirit: Compared to the Berliet PR100, the O305 was easily the winner, and it was preferred to have the benefits of the Mercedes-Benz but made in France and sold with a French badge. Many in France resented the “German invasion” as the German manufactured goods proved to be better than their competitors. On the initiative of Alain Chenard, mayor of Nantes and president of the Compagnie Nantes de Transport (future Semitan), fruitful contacts took place between Heuliez and Mercedes-Benz, leading to the production by Heuliez of all the buses exported to France. 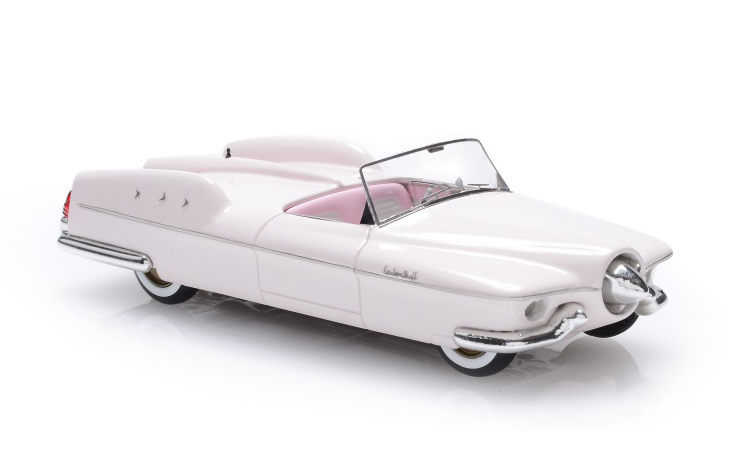 Heuliez was a company founded in 1920 to produce bodies on Renault, Citroën, Peugeot and Simca chassises. Heuliez specialized in the study and building of prototypes for manufacturers, producing short series for niche markets or derivatives, such as vans, convertibles and breaks in small series. Its subsidiary Heuliez Bus went through many different part-owners: from Renault to Volvo, to Irisbus, until it was entirely bought in 2001 by IVECO and it is now a 100% subsidiary of CNH Industrial. After the O305 HLZ (more than 600 copies) it developed a minibus based on the Renault Master and more urban buses for French towns, like the GX107 and GX187. 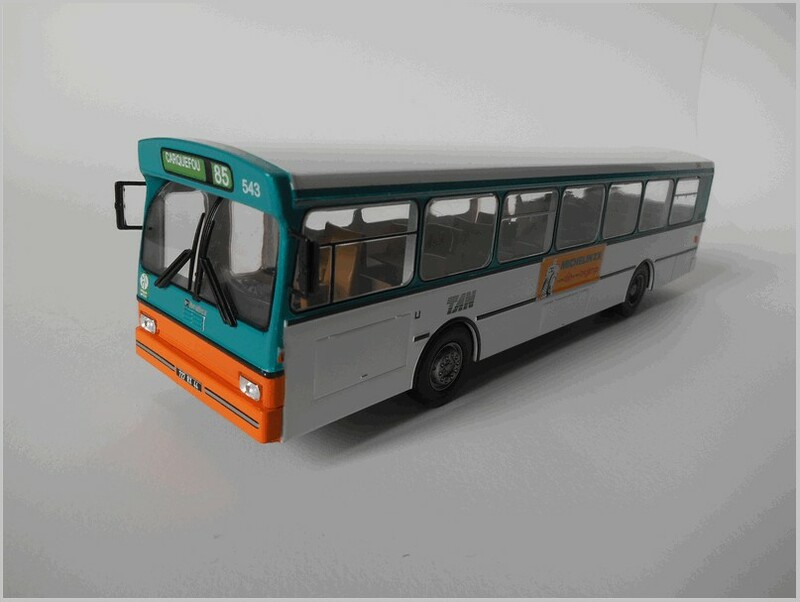 In the 1980s Heuliez was asked to renovate the O305 of Nantes: the oldest buses were unbodied, slightly lengthened and fitted with the body of the GX107, the interior was redesigned and the buses renamed GX44, while the most recent ones remained O305 until their reformation. 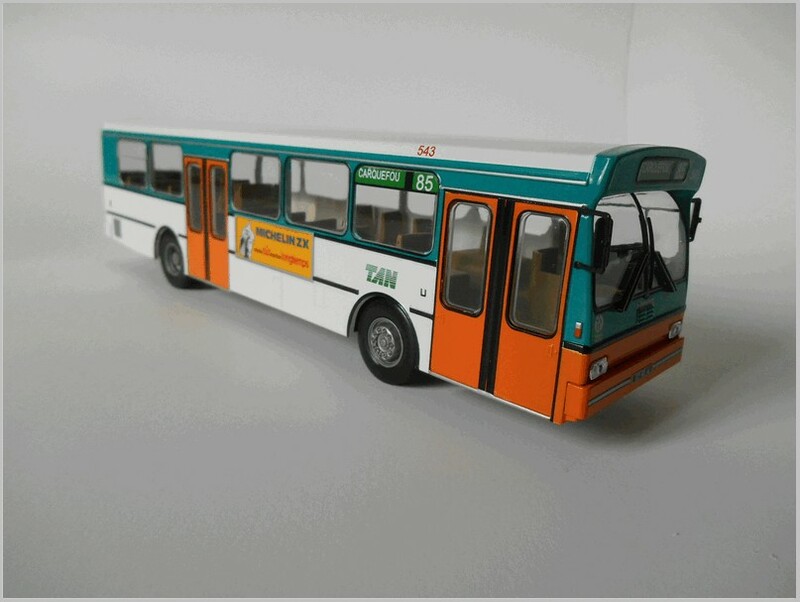 The model is shaped accurately and the white, green and orange livery appears authentic and neatly printed. 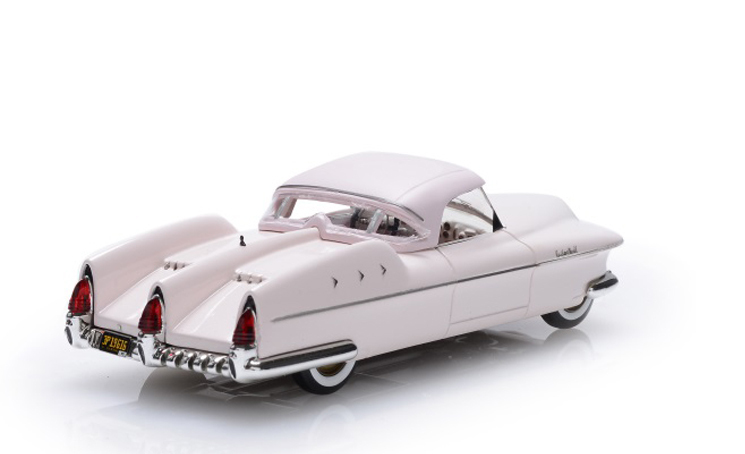 The body is plastic, as usual, with a metal base plate with limited detail. Many small plastic separate parts, like wipers, mirrors, lights and bumpers are used. It is fitted with accurate French registration plates for Nantes, a City in the Atlantic Loire. A basic interior is accompanied by a nice dashboard with lots of detail. On the sides are two small adverts for Michelin ZX tires. Again there are no apparent differences to the French edition. An almost obvious choice, given the French origin of the collection. Esval have been subject to a lot of comment on bulletin boards. 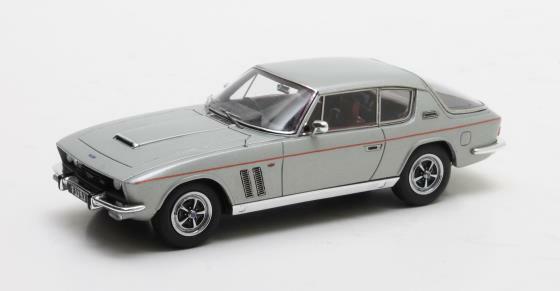 They made a small number of highly regarded models and announced many more of great interest but then production stopped flowing, and they seemed unable to say when the announced models would appear, to the frustration of collectors waiting for them. 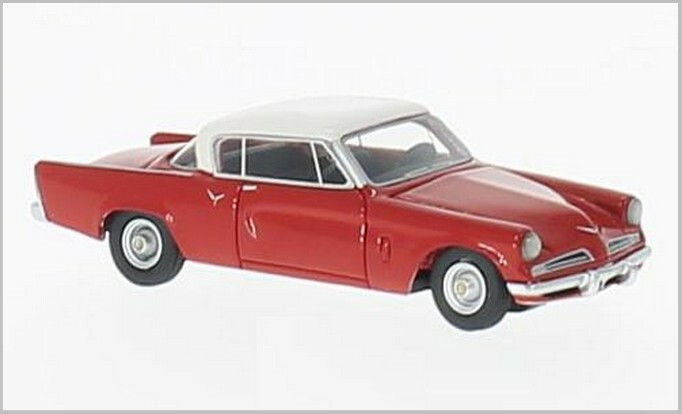 However they seem to be back and have launched some of the models previously announced at Nuremberg. Ten new models are said to be available now and this post includes some small pictures provided by Esval. Some comment has been made about the fact that models are not made to allow them to be displayed with either top up or top down, instead each has to be purchased separately. One area that Esval needs to take action quickly is their web site. The section on new releases does not show most of these models which are all shown low down on the Home Page. Hardly the best way to show them off. All these models are resin cast in China for Esval. 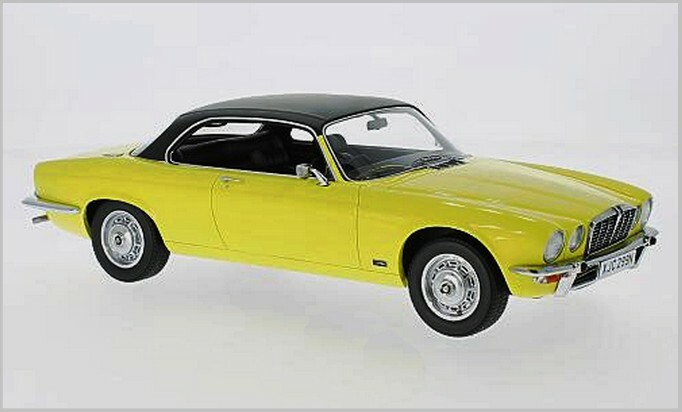 The Victress was a low volume sports car made in the USA and was an early used of a fiberglass body shell. 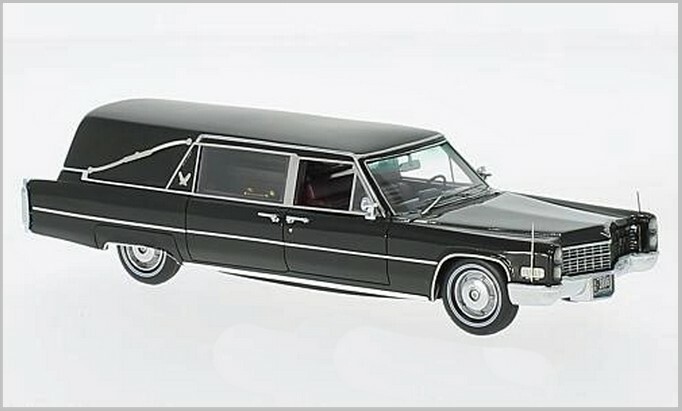 It was made by the Hellings Company of North Hollywood, California. 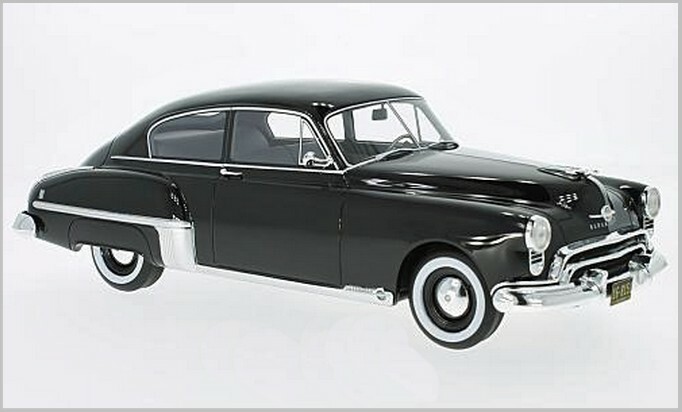 It was used as the lead car in the Tony Curtis/Piper Laurie movie “Johnny Dark,” which debuted in June 1954. After that it was called the “Johnny Dark Victress S-1.” About 30 Victress S-1’s were made, and 200 S-1As. . 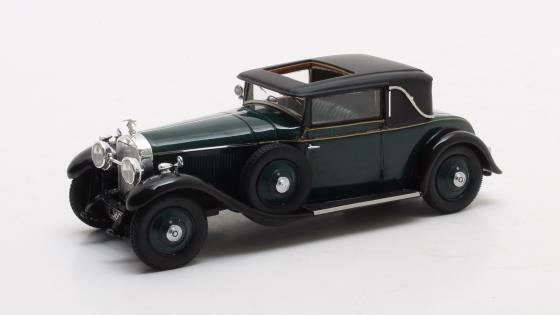 The Victress S-1A body was basically the same as the body of Victress S-1, with minor changes. 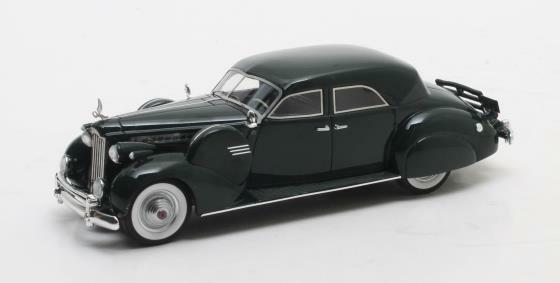 The Victress was fitted on a variety of chassis so each car was unique. 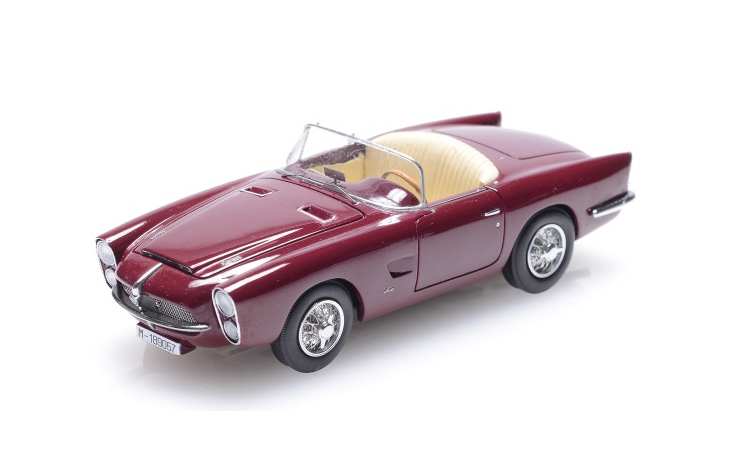 Esval have chosen to model the 1956 and 1959 Pegaso Z-102 Spiders styled by Serra. 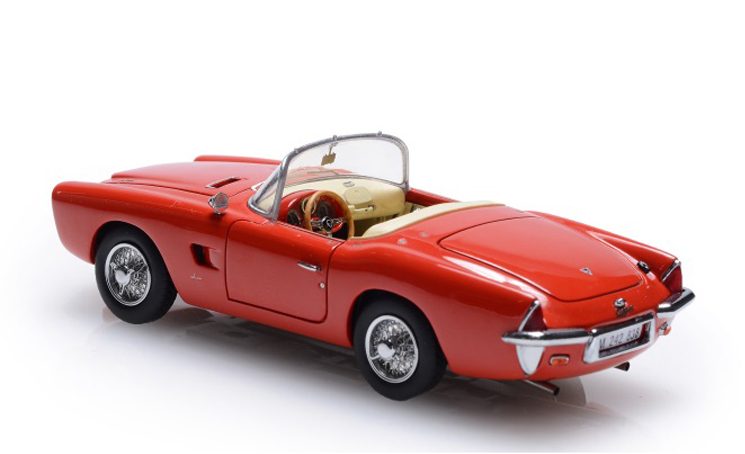 This distinctive car was made in post-war Spain. 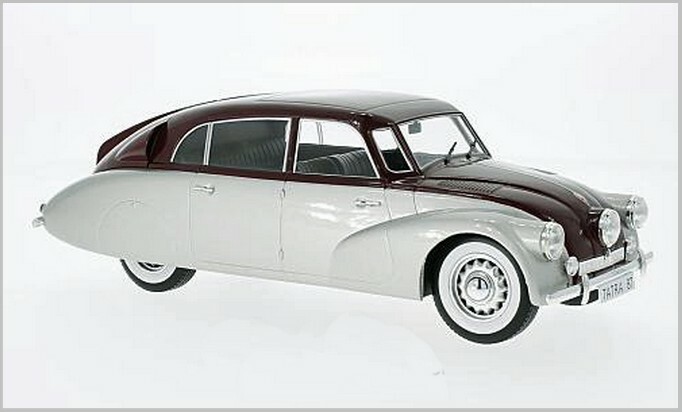 Pegaso were largely commercial vehicle and Bus and Coach makers but they made a limited number of sports cars based on racing car principles with alloy bodies Most cars sold on the Spanish market at the time were produced by SEAT based upon established FIAT designs but the production of some luxury vehicles was encouraged by the Fascist Government for national prestige. 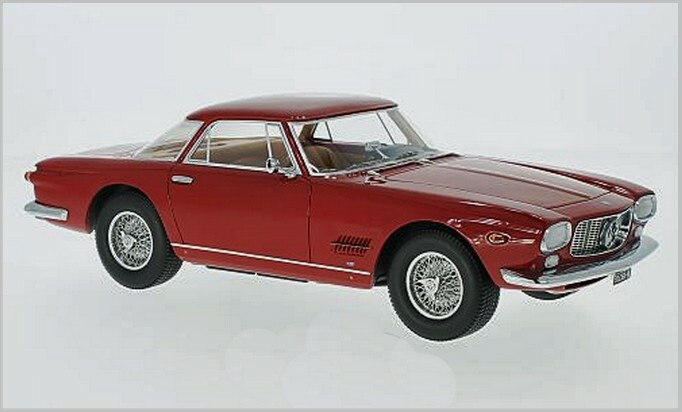 Serra was a coachbuilding company founded by Pedro Serra in Barcelona that made bodies on the Pegaso Z-102 chassis. 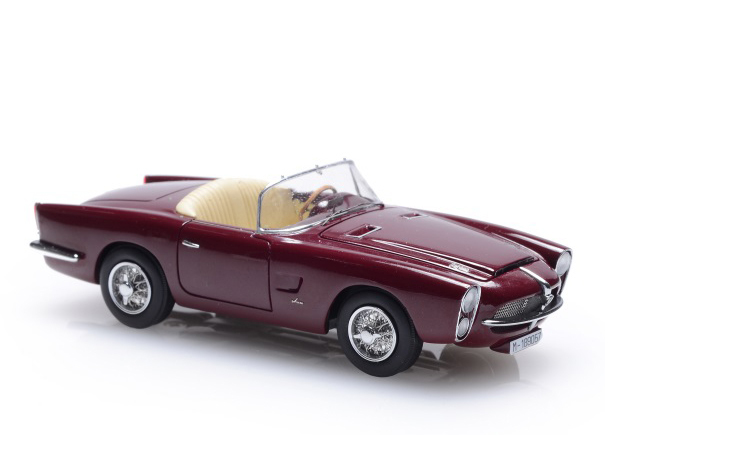 Just 86 Pegaso Z-102 cars were produced, and out of these, only 28 cabriolets were built. 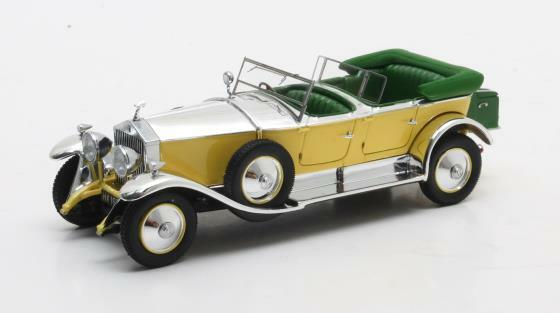 Stutz built cars in Indianapolis, Indiana from 1911 to 1935 and the company made its reputation at the Indianapolis 500, a major American race. 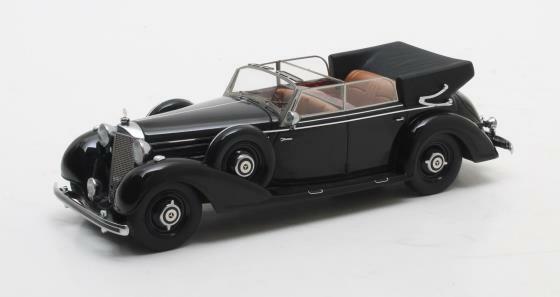 The 1928 Black Hawk speedster harked back to the legendary Stutz Bearcat. 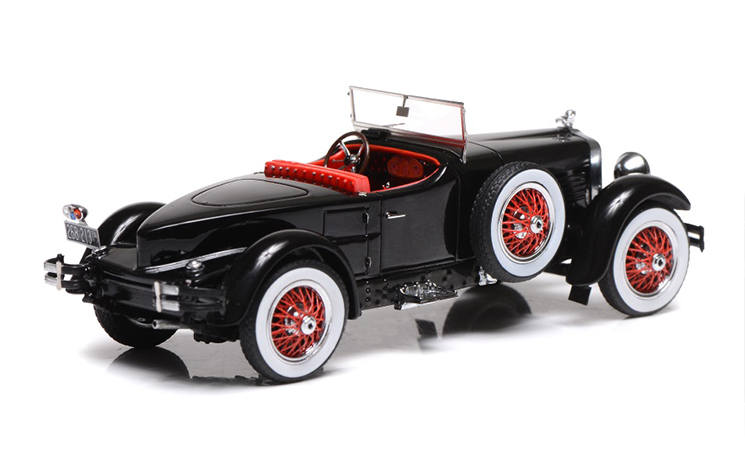 The Stutz Black Hawk speedster won the Stevens Trophy Cup at Indianapolis 500 and the AAA Stock Car championships. 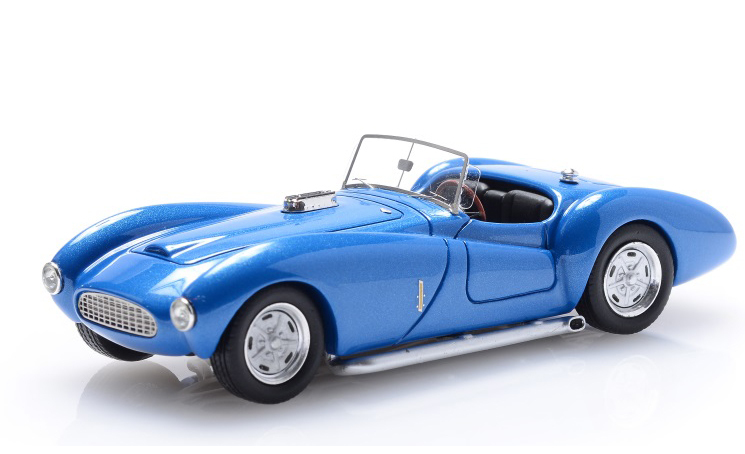 It was America’s fastest production car of the time, and one with considerable style. 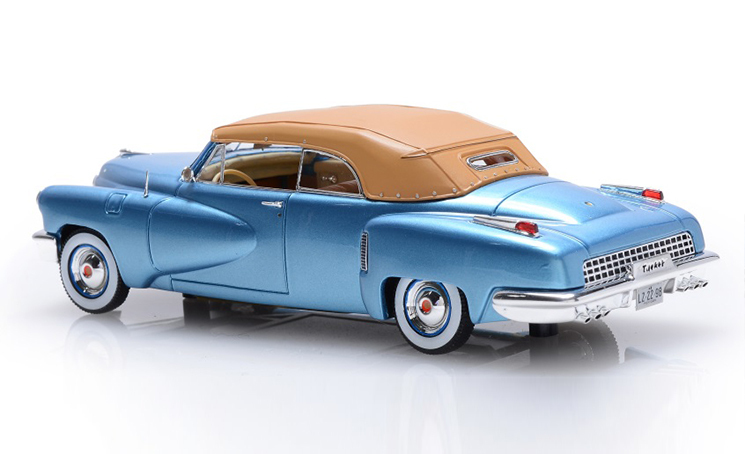 This model is based upon the one-of-a-kind 1948 Tucker Torpedo. 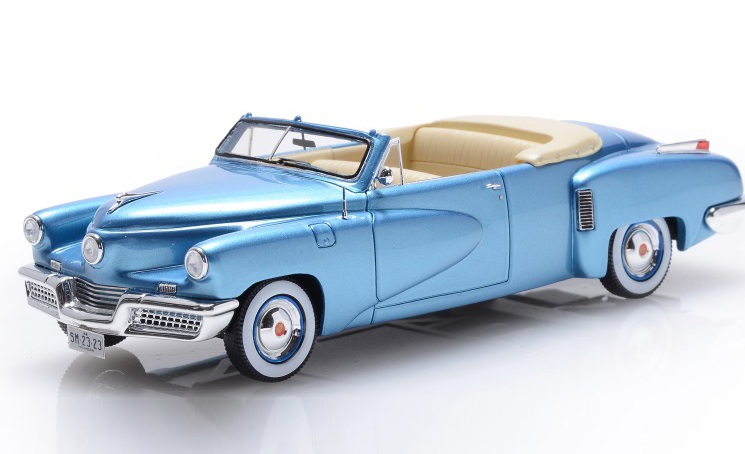 This two door convertible was a prototype based on the Tucker sedan created by Preston Tucker. Today Tucker is most remembered for his attempt to challenge the Big Three American auto makers by starting his own innovative car company. 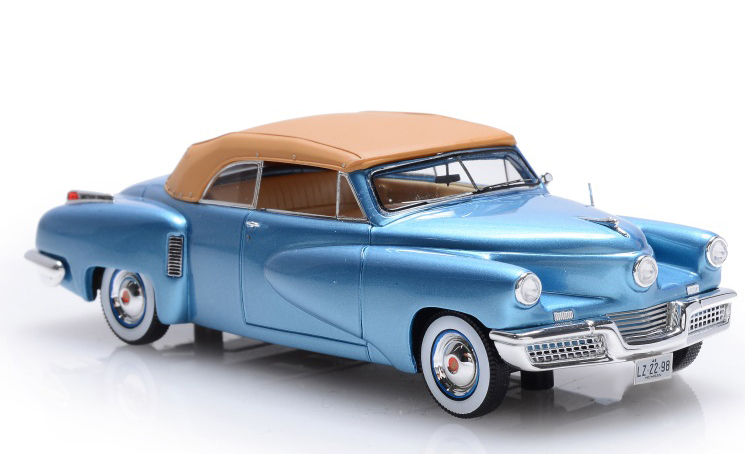 The Tucker 48 was conceived by Tucker and briefly produced in Chicago in 1948. The 1988 movie: “Tucker: The Man and His Dream” is based on the saga surrounding the car’s production. 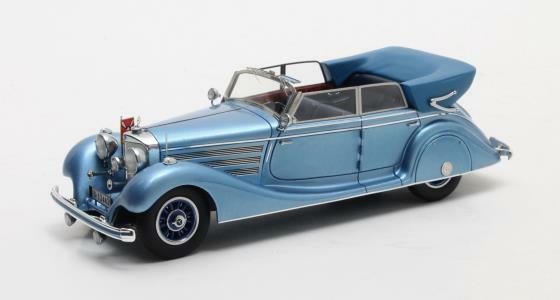 It is said that Tucker himself gave the orders to start work on the two-door convertible project, but the car that was not finished before his empire crashed. 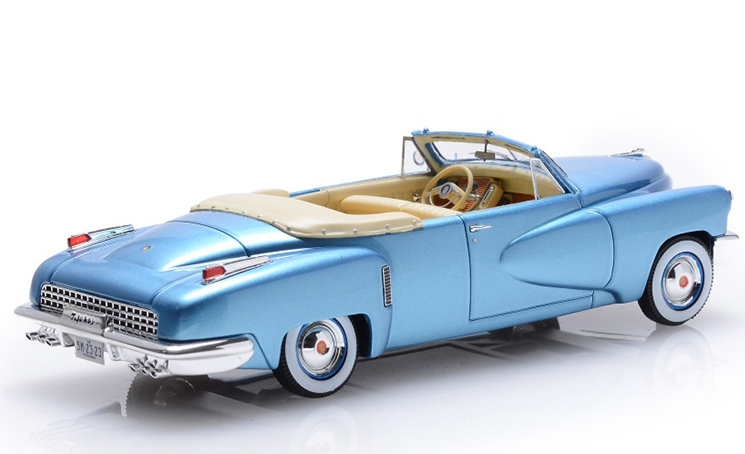 The Tucker convertible started life as a Tucker 48 sedan. 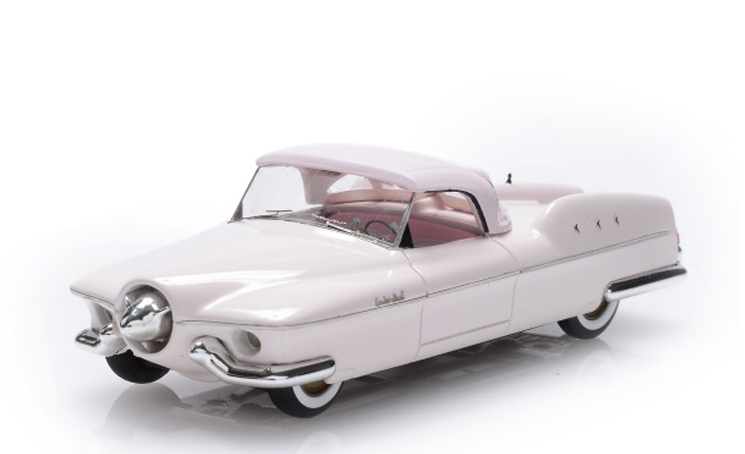 Only 51 Tucker cars were made before the company ceased operations on March 3, 1949. Matrix have now announced a whole group of new models shipping over the next few months. Most of these are also new mouldings being seen for the first time in their range. As ever luxury coach built vehicles are to the fore. Some models do not yet have a prototype ready to be shown but most do and these are shown below. 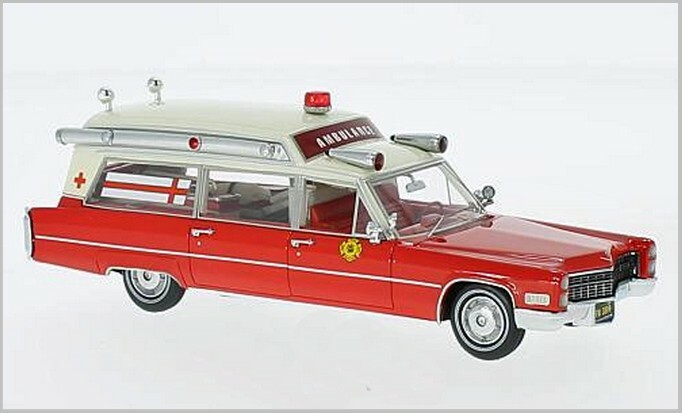 All the remaining vehicles listed are wholly new models. 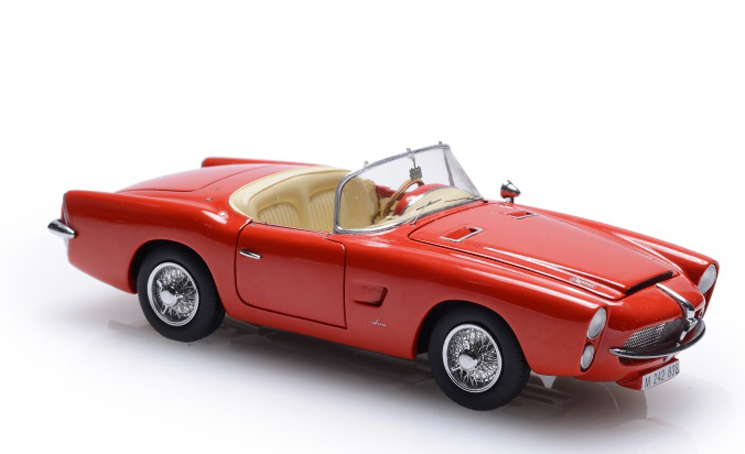 All photographs supplied by, and copyright of, ModelCarWorld. Over the last year we have seen prices steadily rising from many suppliers. 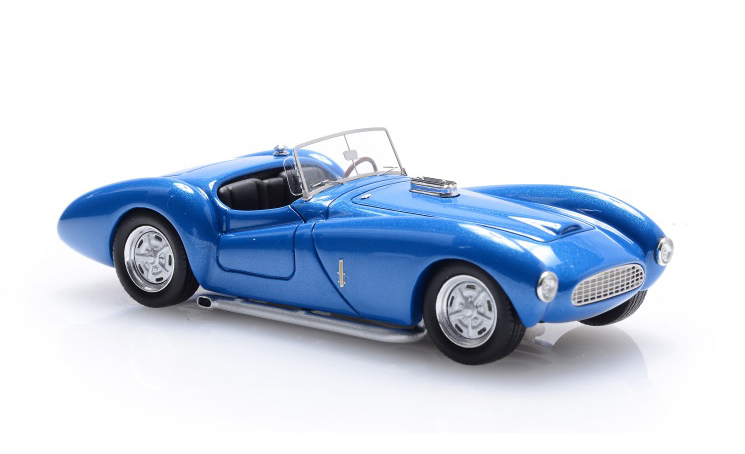 ModelCarWorld who own Neo, MCG, BoS and other ranges appear to be trying to contain their price rises in the same way that Oxford Diecast are. 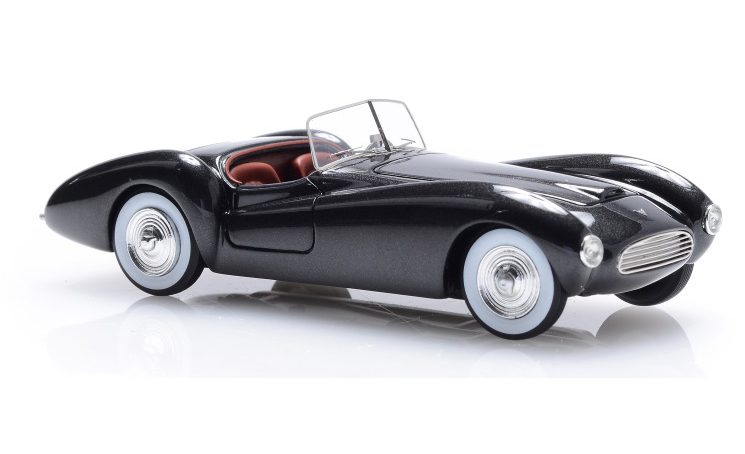 For example Neo models are now about 25% cheaper than Matrix models and MCG 1:18 scale models are about the same price as a 1:43 MaxiChamp. 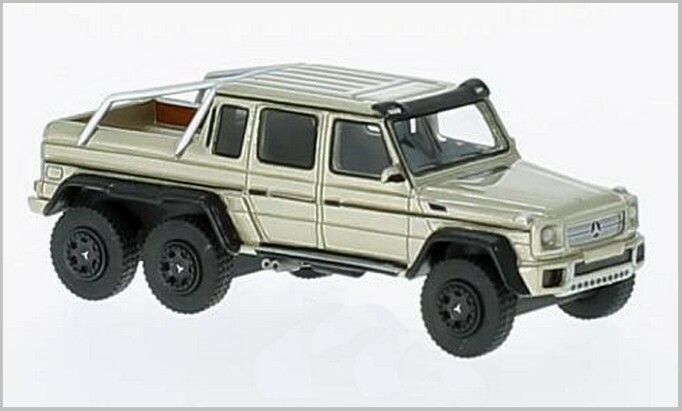 In contrast their BoS 1:87 scale models have crept up in price and now look rather expensive though their only competition is German made and is quite expensive too. 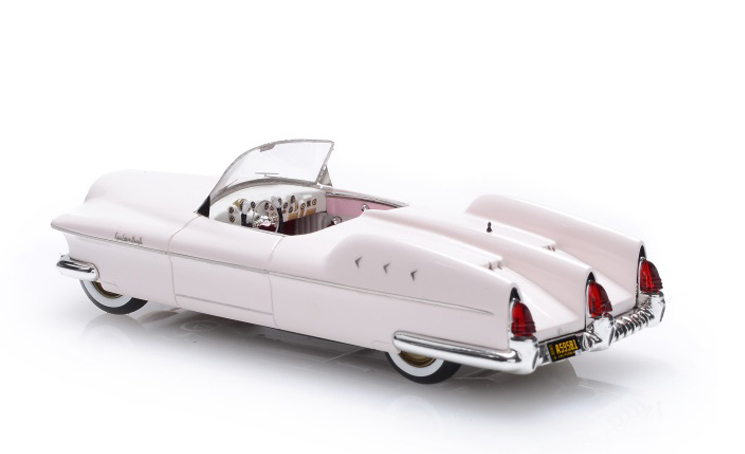 Many of the models shown are re-colours of previously released castings. 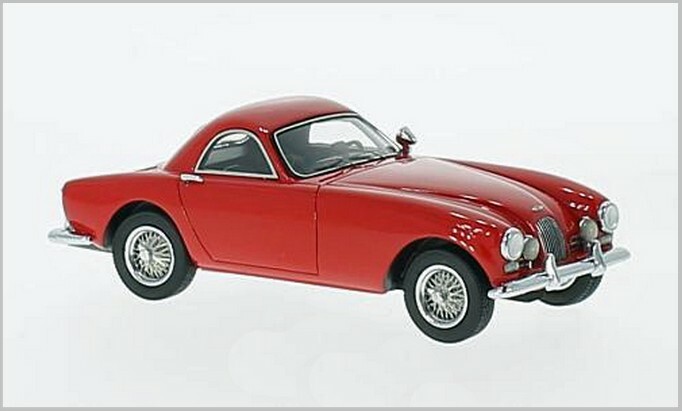 ModelCarWorld have models made for them in China to 1:18 scale. 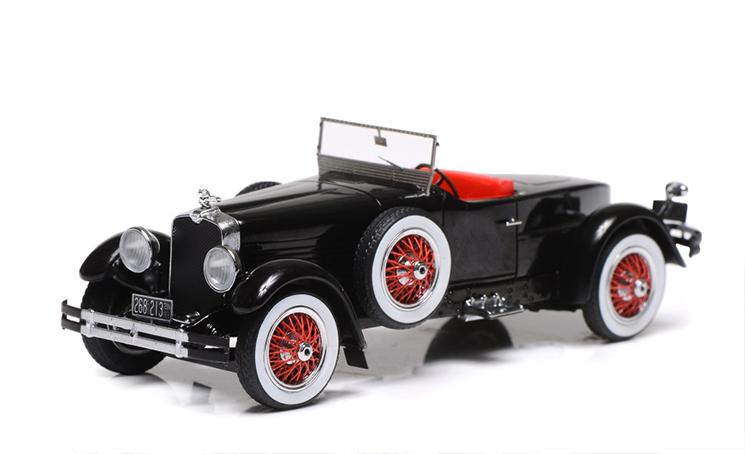 BoS models are resin cast and Model Car Group are diecast. Neither range has opening parts. All these models are moulded in resin in China for Germany. 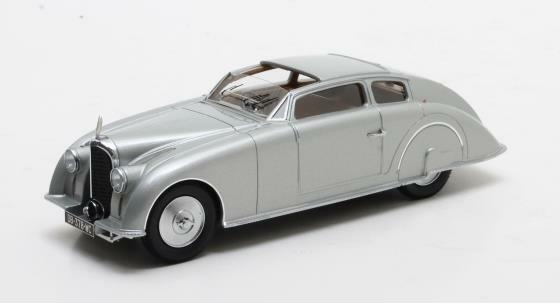 There have been few 1:43 BoS releases lately and some recent Neo models have been regarded as BoS finish for Neo prices. 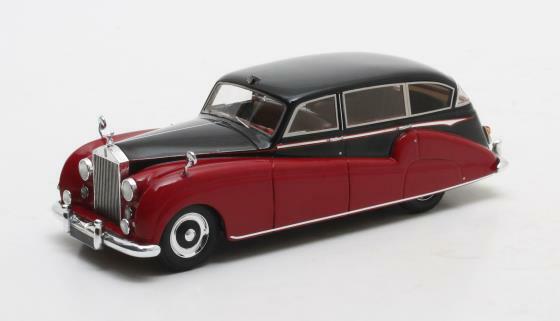 Comments have been made suggesting the red shade shown in the pictures of the second issue of the Humber Sceptre is too bright and is also incorrectly sprayed at the rear where the red colour should go into the “V” round the rear lights and does not. 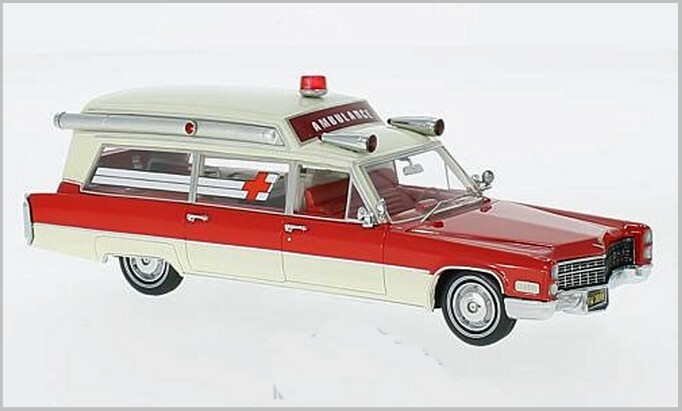 ModelCarWorld are certainly getting the most out of their S & S 1966 Ambulance moulding producing it in a variety of colours and equipment. 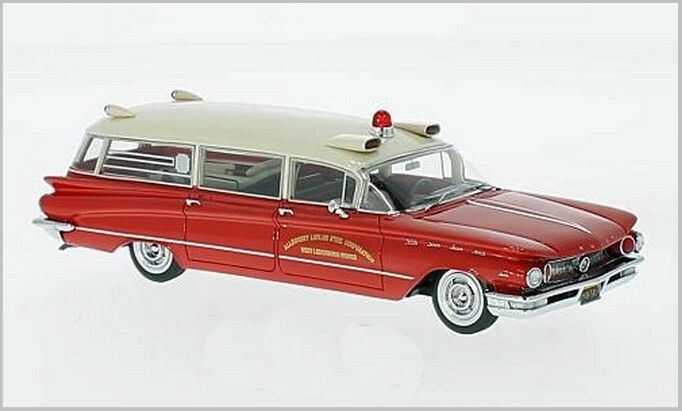 The Buick Flxible Premier has recently been seen modelled by Ixo in the German Atlas series of Ambulances which may limit the sales of the Neo. 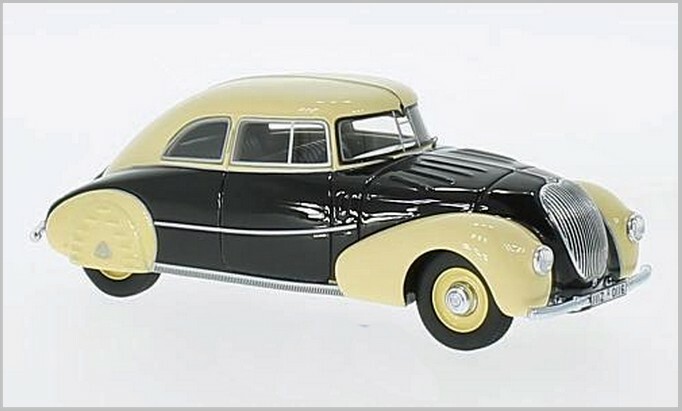 These resin models made in China for Germany replaced the previous Neo 1:87 range which was expensive and sold slowly with ModelCarWorld still having some available for bargain prices long after the range was stopped. 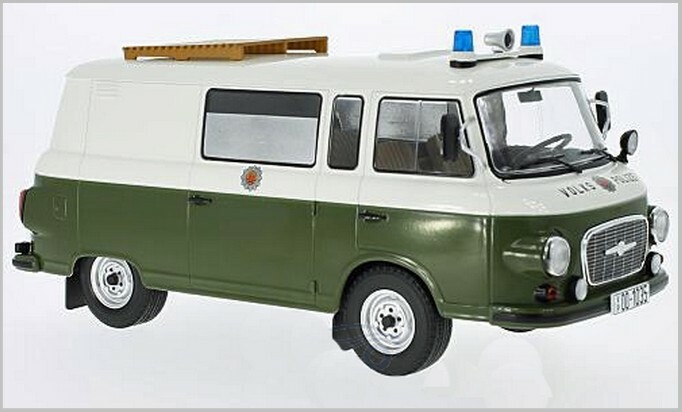 The BoS 1:87 Range was supposed to offer similar interesting subjects but with less expensive finishing. 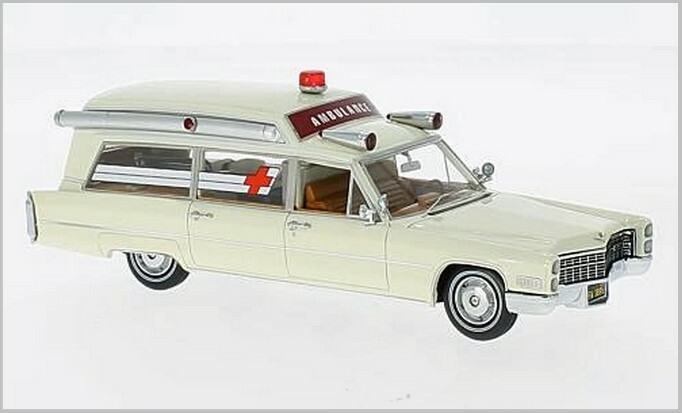 Even so some models still feature p-e parts and some fine details. 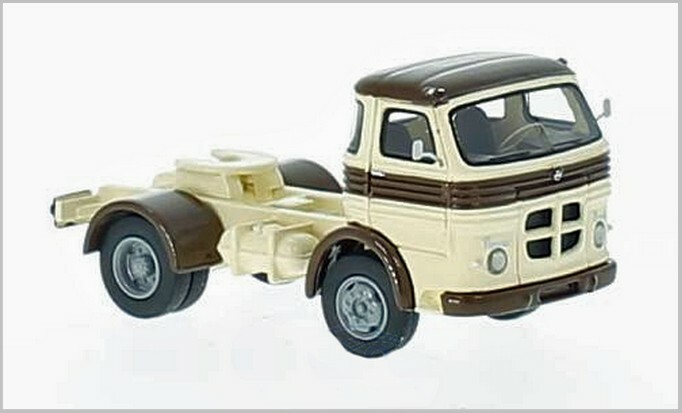 For me the most interesting of this months releases are the tractor units from Pegaso and Bernard, though these are quite a bit more expensive than the cars. They certainly add options for 1:87 collectors and if they stick to cab units that the mainstream 1:87 producers are unlikely to release they could sell well.